Anteneh Roba is a physician in private practice in Fairfax, Virginia. Dr Roba is also President and Co-founder of International Fund for Africa (IFA), a Houston-based 501(c)3 not-for-profit organization and a registered International Non Governmental Organization in Addis Ababa, Ethiopia dedicated to helping both Human and Non-Human animals in Africa. Through his organization, Dr Roba has worked to improve healthcare for children and has been instrumental in creating and upgrading medical services serving neonatal and infant children in Addis Ababa, Ethiopia. Dr Roba has been involved in the effort to make medical care accessible to the people of rural Ethiopia. He has been working with governmental officials in an effort to improve the condition of homeless dogs in Addis Ababa, Ethiopia and is striving to assist equines and other working animals in Ethiopia. Additionally, through IFA he has been promoting the adoption of a plant-based diet across the African continent and is actively working and supporting Vegetarian/Vegan organizations across Africa.Dr Roba frequently lectures on the health benefits of plant based diet across the USA, Europe, Africa, and is also a frequent guest host on the Vegan World Radio show 90.1 FM. in Houston,TX. 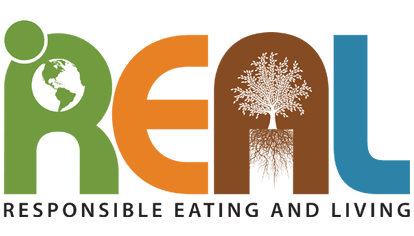 Dr Roba has written in various internet-based media publications on issues of child care in Africa, the environmental and health consequences of meat and dairy consumption in Africa, global hunger, and poverty. He has also contributed a chapter in the recently released book Rethink Food. 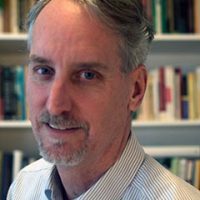 He also has contributed a chapter to the soon to be released book book Circle of Compassion edited by Dr W. Tuttle, and is working on co-authoring a book about Africa and her animals. He has been the subject of numerous news articles, media stories and interviews and is recipient of many awards including The Gandhi Peace Award (Society of Peace Oct 2007), Circle of Compassion Award (Human Society of the United States, Nov 2007), Certificate of Merit Award (Ministry of Health of Ethiopia,and Yekatit 12 Hospital, Addis Ababa, Ethiopia, June 2009), Certificate of Appreciation Award (Addis Ababa Health Bureau and Gandhi Memorial Hospital, Addis Ababa,Ethiopia). In his spare time, Dr. Roba is active in the local Houston-area rescue groups in rescuing, fostering and finding homes for abused and homeless dogs. Caryn: Hello everybody! How are you doing today? 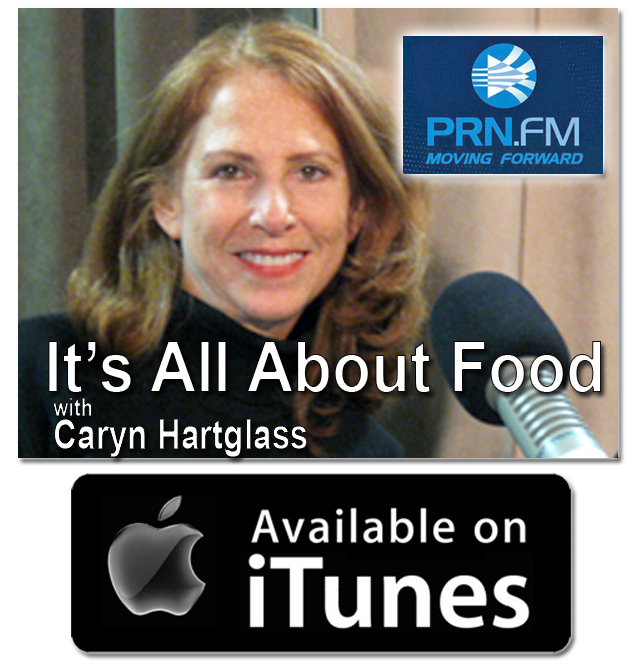 This is Caryn Hartglass and you are listening to It’s All About Food, on June 10, 2014. I am so excited. Can you hear the excitement in my voice? I’m excited, and I’m exhausted. So today is June 10, and later on today we will be premiering our new documentary, The Lone Vegan Preaching to the Fire. It’s not up yet, but what is up is our trailer. 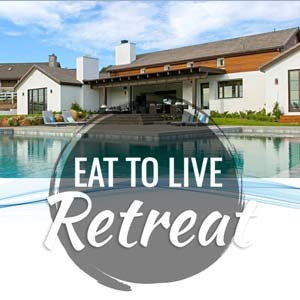 If you visit ResponsibleEatingAndLiving.Com, you can watch the quick little trailer. Then later on this evening, and it will be available online for quiet some time. The documentary is about 70 minutes of my trip to talking to 250 cow producers about climate change. Just listening to the program before this one, of course we need sustainable solutions to our energy problem, which is creating all kinds of havocs to the climate. We also need to be eating plants because it has a tremendous impact on the environment, but that’s not what I want to talk about today, or maybe I will later. I want to introduce my guest, Dr. Anteneh Roba. He is a physician in private practice in Fairfax, Virginia. Dr. Roba is president and co-founder of International fund for Africa. A Houston based 50123 non-profit organization and registered non-governmental organization in Ethiopia. Dedicated to helping human and non-human animals in Africa. Welcome to It’s All About Food, Dr. Roba! Dr. Roba: Hi, good afternoon. Caryn: Good afternoon! Thank you for joining me. I’m so glad that we’re finally able to connect and hit on this very important day. It’s your birthday! Dr. Roba: Yes it is. Caryn: Can I sing Happy Birthday to you? Dr. Roba: You don’t have to, but if you like to then sure. Caryn: Everybody join in with me! ‘Happy birthday to you, happy birthday to you, happy birthday Dr. Roba! Happy birthday tooooooooooooooooooooooooooooooooooooo you!’ That’s my special Happy Birthday song to you. Dr. Roba: Thank you. I feel like I’m in the opera or something. Dr. Roba: I know it’s there. Caryn: A few little high notes for you. Caryn: I’m glad to be celebrating your birthday, and I’m glad that you’re alive. Dr. Roba: Thank you, so am I.
Caryn: That’s good to hear. Now, you’re a vegan doctor, are you not? Dr. Roba: Yes I am. Caryn: Yes. Just briefly, when did you become vegan and why? Dr. Roba: Around 2001 to 2002 was when I became vegan. The explanation is a little long, but the short version is that I got a dog, a little Maltese who became my soul mate, and one day I was walking him and holding him in my hands. I felt his little heart beat, and it just hit me. Here I am, I love this little guy to death, and I would do anything for him. When I felt his heart beat, I don’t know why but I just made that connection with a chicken or any other animal that we eat without hesitating. They have a heartbeat; they’re just like my little dog. I didn’t see any difference, I couldn’t figure out what the difference was to cause me to love one, then eat the other. Caryn: I’m glad you made that connection. What surprises me is why more doctors and more people don’t. Dr. Roba: Yeah and that started my journey and me ending up being vegan. Even starting this organization that I lead in Africa, which is an organization that works with both animals and human beings and promotes veganism in Africa. Caryn: I always like to say this when I talk about being vegan, people always respond, “you always care about the animals, what about the people?” I believe that most of us who care about animals, also care about humans. We realize the connection, and here you are with an organization that helps both. Dr. Roba: Yes and if people think that we only care about animals, they don’t get it. Caryn: They don’t get it. Caryn: Let’s just talk about, first being a doctor. So you work in the emergency room? Dr. Roba: I use to. I practice certified emergency medicine. I practiced for close to twenty years, actually a little longer than twenty years. Then I decided that I was done with the adrenalin rush, getting a little older. I couldn’t get that excited about seeing people’s chest open or with their gun shot wounds. Then I decided to go into functional medicine, which is a lot more interesting to me. It’s more about prevention and figuring out and understanding analogy of why things happen in similar bases. So it really fascinated me and I got into that then open my clinic in Fairfax, Virginia. We’ve been open for a couple of months now. Caryn: Oh great. I’m assuming you’re talking to your patients about plant-based diets. How are they responding? Dr. Roba: A lot of the people that I talk to are obviously not vegan. A lot of them get in trouble, medically, because of their habits, which are very hard to change. I have my challenges and I have my work cut out for me. It’s going to be a lot of work and a lot of effort, but I think eventually I will prevail and convince people to go in the way of a plant-based diet. Caryn: Most people don’t get that far with a doctor that they respect telling them that they could do dramatic positive things with their health by just changing the way that they eat. Dr. Roba: Absolutely, absolutely. I agree. Caryn: Occasionally I go see a doctor and it’s always a frustrating experience because I always end up lecturing them about what they should be telling me about nutrition that they’re not doing. Unfortunately, they told me that they don’t think people would want to hear the information. Dr. Roba: It’s not only that. Unfortunately, I’ll admit this, but medical schools don’t teach nutrition. Doctors have very little knowledge about nutrition if doctors don’t take the time to teach himself. When you leave medical school and go into practice, you really don’t know much about nutrition. So part of it is ignorance and part of it is the stress of getting patients in and out quickly. It doesn’t leave time to wit them down to talk to them about their medical condition. Actually, that’s one of the reasons why I decided to leave emergency medicine. I was seeing so many patients what had doctors and they were dying right in front of me. They were coming every week for the same problem and getting worse because the main issue wasn’t being addressed. The issues weren’t being addressed because the doctor just pushes medications on them. They may care, I don’t think doctors don’t care, they don’t have the time to sit down and take the time to learn people’s lifestyles, issues, diets, stress level, and other familiar problems that they have. The other thing is that they don’t have the time and the knowledge when it comes to nutrition like I said before. I was seeing patients that were obese five to six hundred pounds, young people in their 20’s with diabetes and high blood pressure, some of them had strokes. They’re not even in blood pressure medication. When I ask them, “Have your doctor talked about diet?” Some of them may be lying, but a lot of them are truthful saying, “No. Nobody told me if I do this then I could change.” So it became very frustrating for me to practice in an environment that see a revolving door of people who are slowly going down the drain when their disease could be prevented. People are dying from diseases that could be easily prevented because of the lack of knowledge and ignorance on the part of the patient and the physician. So I said that I am going to do something different. I’m going to practice medicine the way that it should be. I want to take the time to sit down and talk to the patients and learn about their situation, and try to address their problems at the core. Sit down and explain to them that modifying their lifestyle, they could prevent a lot of diseases before they start a downhill trajectory. Caryn: Well thank you for doing what you’re doing. We definitely need more doctors like you and our system is changing, but it needs to change even more so. The medical system needs to change, but also each one of us as individuals. Hello listeners, I know you’re included in this group. We need to take responsibility for our own health and not rely entirely on the medical profession because when we learn about health and unfortunately with the Internet, a lot of that knowledge is available for free. If we listen to our bodies, we can find help, and it starts with nutritious plant foods. Okay, let’s move to Ethiopia and the International fund for Africa. Caryn: So you were born in Ethiopia? 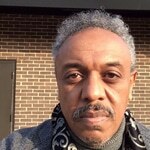 Dr. Roba: Yes, I was born in Ethiopia, but I grew up mostly in the U.S. I go back and forth. A couple of years ago, I decided that I wanted to go back to my country of birth. Then we established the international funds for Africa. Even though I tell you, my heart is with animals, I feel very connected, but I also feel very strongly that as a physician to help people in my country. There are a lot of suffering especially in rural parts of Africa and Ethiopia. So we started working and tried to improve the health care in rural parts of Ethiopia. We’ve been doing it for the last 6 or 7 years. We also work with issues related to dogs and also trying to promote veganism. Caryn: Now I know you were probably really young when you left Ethiopia, but has it changed a lot since you been back? Dr. Roba: Change in what sense? Caryn: Well in sense of the economic stability, what people are eating, their health, their knowledge, or the food that they eat. Dr. Roba: Oh, okay. Yes, there has been a lot of change. Economically, the country has grown.. It’s improved in a lot of ways. Unfortunately, the environment with civilization and with improvement and growth, comes all the complications of toxic environment, or toxic water, or the air being polluted. There are a lot of problems with chronic disease that are showing up, which were not an issue when I was growing up. One of the things that have drastically changed is the chronic disease related to nutrition, especially with diabetes, high blood pressure, cardiovascular disease, and cancer. People in the urban areas are eating more and more of the western diet. Which I don’t have to tell you what that contains. Because of that, there is a dramatic increase of diabetes and high blood pressure. In that case, that has gone badly. The governments are worried because the last thing they need is dealing with chronic, you know they cannot make an impact. The U.S. As rich as the United states is, they have a hard time dealing with chronic diseases. Now imagine that being in Africa. Infectious diseases where the problems that African countries are facing a couple of decades ago, and now the economic impact is dealing with diabetes and its complications. It’s going to break the back of the health care system in any African country. They don’t have enough reserves to handle that kind of financial stretch. Caryn: So the images that I have in my memory of Ethiopia are from the droughts and the starvation. Does that still exist? Dr. Roba: You know, I can’t say for sure. There are packs of areas of people who are starving. I would be giving false information if I said it isn’t, but I know this much, whatever much conviction that existed many many years ago are not being replicated any more as much as they use to. Are there some areas of fanon and periods of drought that cause people to die? Probably yes. Caryn: I think that some people attribute from going from malnourishment to having diseases of abundance is because they’ve been growing more animals for food. Dr. Roba: Yes absolutely. It’s also an issue of distribution. There is also an issue of urban vs. rural. A lot of the diseases associated with abundance, happen to be in urban areas. They happen to be happening to people who are financially well off. Starvation, hunger, or malnutrition, because of lack of foods, mostly happens in rural areas, to people who are very poor. It’s an issue of politics, economics, and social justice issues that come into play. There are a lot of companies that are moving in from North America, Europe, and even in the Middle East. They are spreading out factory farms and they are producing a lot of meat for export. They basically involve the production of leering a lot of animals and increasing their numbers. So that’s become a phenomenal that’s affecting Africa, especially in countries like Ethiopia, South Africa, Kenya, I think Ghana and a few other places, mostly Botswana. That creates its own problems, not only with nutrition but also in social inequality also major impact on the environment. Basically, climate change which is becoming an issue in Africa, it is an issue already. When you have a lot of animals grazing there’s desertification, the arid lands disappear. That leads to basically, big areas, chunks of land becoming useless. They can’t be used anymore. The point that I am trying to make is that multifactorial issues that are causing all these appeases and changes. Caryn: Yup! Now, I have not been to Ethiopia, but I have been to Ethiopian restaurants. I love the food. Everyone that I have ever been to all around this country, the United States always has wonderful vegetarian options. I love the teff bread, injera, how is it pronounced? Caryn: And all the wonderful dishes with beans, grains, and the lovely spices. Are people eating the same food or are they adding more meat to these basic dishes? Dr. Roba: Yeah, that’s exactly right. It’s not that the food has changed, but on top of that you have raw meat, chicken, eggs, you know you have everything, fish you name it. Then they use a lot of butter, It’s not that the injera has changed and it’s not that the vegetarian food isn’t there. It is just, you know, if they’re not fasting, nobody is eating vegetarian food, period. Unless you’re a vegetarian like me. In restaurants, you may know, the Greek Orthodox religious sect, which most Ethiopians belong to, hey fast like 215 times a day, a year. Dr. Roba: Yeah, exactly. During that time, of course fishes are allowed, but during that, they eat vegetarian food. If it’s not a fasting day, which is usually Wednesdays and Fridays, and a couple of weeks before Easter, and some time in December, they eat meat. So, during that time, you can’t go to a restaurant and see anybody eating vegetarian food. The only association they have with vegetarian food is when they think of fasting for religious reasons. Caryn: Okay, so you have your organization. What exactly are you doing in Africa, with the International Fund for Africa? Dr. Roba: We are doing many things to different situations. Right now we are involved in a feeding program for children who’s parents have died of aids. These kids are anywhere from 5 to 15 years old. They go to school and eat once a day, sometimes less than once a day. We created a relationship with the school to provide vegan food to these kids who now eat three times a day. Dr. Roba: We are also creating a little garden. The school can grow their own vegetarian food and provide that food to these kids. So that’s our recent efforts and we are actually currently extending that to a couple of different schools. A lot of these schools, it’s unbelievably sad to see kids come to school and they have no parents, who died. They either stay on the street or some family member is keeping them just barely. They come to school and they’re separated from those kids who have parents who come with food and they eat. While these other kids who don’t have families, don’t eat anything. I’ve seen it with my own eyes and it just breaks your heart. How can you have two kids, one eating, and the other sitting and watching them eat? So we decided to do that, that’s one of the things we’re doing. In the past what we have done was go on medial missions to rural Ethiopia and taken doctors from the U.S. and Ethiopia and treated people in very difficult situations in rural Ethiopia. In 2012 we went and treated about 5,000 people. We have restored the eyesight of about 500 people. Previous years, we have done similar missions. That’s one of the things that we do. We are also trying to get involved with rural developments to help people with water projects and other things that help improve their lives. Like I said earlier, we support organizations in some parts of Africa that are promoting veganism are vegetarian societies. They need a little help with money. We try to provide money when we have it. We also work with the government who help decrease the suffering and torture of homeless dogs. We partnered with the H of US and Best Friends of Animal Societies in the past work to help homeless animals to provide them with rabies injections and find them homes. Those are the main things that we have been doing. We are continuing to do as much as we can, but unfortunately, funding is always an issue. It kind of limits us from doing a lot more than we are doing already. Caryn: Yup, that’s a frustrating thing. There’s a lot of money out there, but it’s not going to where it’s needed. I wish that you would get a much funding as you can possibly handle. Now, you’re in Virginia and it’s the United States, but there are still economic issues here in the United States with people and not getting the nutrition that you need even though we consider ourselves a very wealthy nation. Do you see that in your practice? Dr. Roba: I’m not focusing on that because I’m just starting out. To be honest with you, a lot of my focus is on Africa. It’s hard enough getting funding for as much as you are doing, and to be able to do much more. Obviously, I am open to helping people and animals in the United States. In my time off, and when I have a little bit of time I rescue dogs in Houston and now I’ll probably get involved in Virginia. I rescue and foster dogs. Am I open to helping human beings? Hell yes! Caryn: Hahaha. Well, you’re a vegan so you have tons of energy and you can just do a lot. Dr. Roba: Yes and I hope so. I want to stay healthy and do as much as I can. I only have one chance in this trip also life. Caryn: Yup! Now you’ve contributed a chapter to The Book Circle of Compassion. When is that being released? Do you know? Caryn: Oh so that’s next month. So what was your chapter about? Dr. Roba: It’s a very controversial chapter. In 2009 I went to Ghana. I went to the gold coast of Ghana where the slave trade basically started. I went to see the castle where slaves were transported to America. It had a huge impact on me. Basically, my chapter is about making comparisons between animal slavery and human slavery, and the connection. Caryn: Well I’m glad you’ve done that. I know that it is controversial and there are big connections. I’m always saying, we treat animals horribly, but we treat human horribly too. Dr. Roba: Well, we definitely do. Caryn: We like to think that there is no slavery, at least in the United States. We are continually hearing horrific stories about how slavery still exist in this country, and in other countries. If people aren’t quiet slaves, they’re near slaves who have very little flexibility and freedom. Dr. Roba: There are more slaves now then there have ever been in the past, across the globe. Slavery is doing just fine. Caryn: Is alive and well. Dr. Roba: Yes, alive and well. Then we have animal slavery that is going on everywhere. It’s not only humans. As far as I’m concern, every factory farm in the United States is a dungeon where slaves are put in. That’s the way I see it. Caryn: Amen to that. Well, Dr. Roba, it’s been a pleasure to talk to you. I’m delighted to hear about the wonderful work that you are doing here and in Africa. Thank you so much. Dr. Roba: Thank you. Thank you for having me. Caryn: Okay! I look forward to reading The Circle of Compassion, especially your controversial chapter. Dr. Roba: Yes please, and let me know what you think when you read it. Caryn: Okay I will! People can find you, what’s your website? Caryn: Okay thank you. Have a wonderful birthday! Dr. Roba: Thank you take care. Caryn: Okay bye-bye. That was Dr. Anteneh Roba, and it was his birthday, and I’m glad. All right, we’ll take a break and be back in a few minutes. I’m Caryn Hartglass, and this is It’s All About Food. How can i help, am a sociologiest and am working as a Project Manager for Cheshire Foundation. Addis Ababa. How to get your medical service ?